Bramell, Party of Five: Happy Birthday Big Sis! Y'all. This girl is SEVEN today. 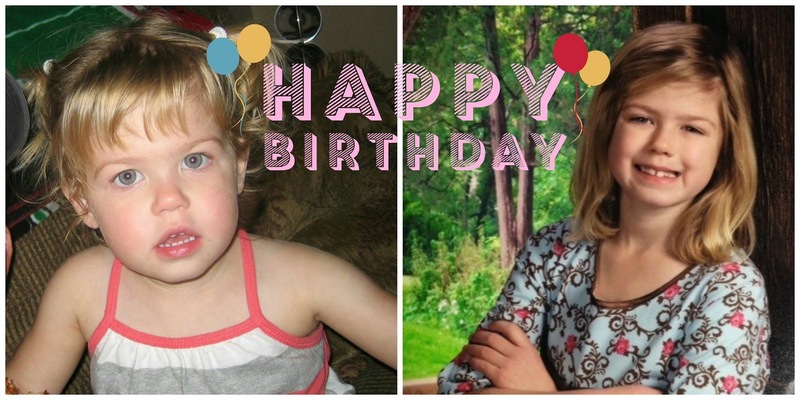 And today, her biggest worry is having her birthday announced over the intercom at school (how embarrassing!). My honest prayer is that this will be the worst that she has fret about for a long, long time. I love this kid and I can't wait to see what special things she's gonna do in the world. Happy birthday, Becca!!! Grammy loves you so much and I can't wait until you come stay with me this summer. We will have a lot of fun.